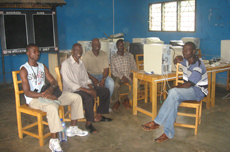 In 2006, Professor Rashid Dorsey gave 35 used CPU computers as a donation to various schools in Sampa, Ghana, West Africa. 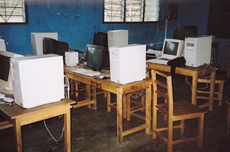 The computers were packaged, shipped and transported to the rural community for distribution. Thaddeus Mensah spearheaded this project. Matthew Essieh, Entrepreneur and business owner was instrumental with the project. 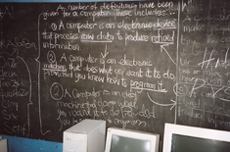 Matthew provided financial assistance to purchase keyboards, mouse and monitors for the CPUs as well as covered the shipping and customs costs.